The Essential Woman is derived from seeds of botanical flowers such as evening primrose and flax, as well as special plant phytonutrients, all recognized for their beautifying and balancing qualities. 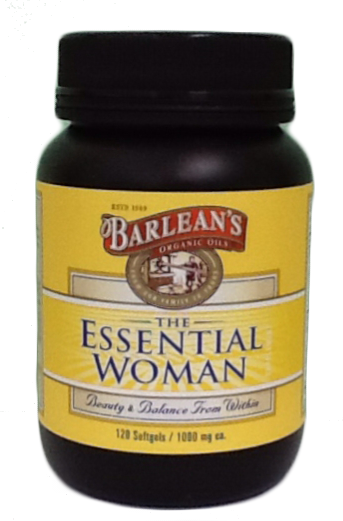 The Essential Woman is the first product of its kind to combine a full complement of therapeutically beneficial nutrients targeted for the special and changing needs of a woman. Recommended Use: 3-9 softgels per day, with or without meals. Ingredients: Organic flaxseed oil, organic evening primrose oil, flaxseed particulate containing lignans, isoflavones and saponins mechanically extracted from soy, rosemary.ascorbic acid, softgels(contains geltin, glycerin, water, and caramel color).